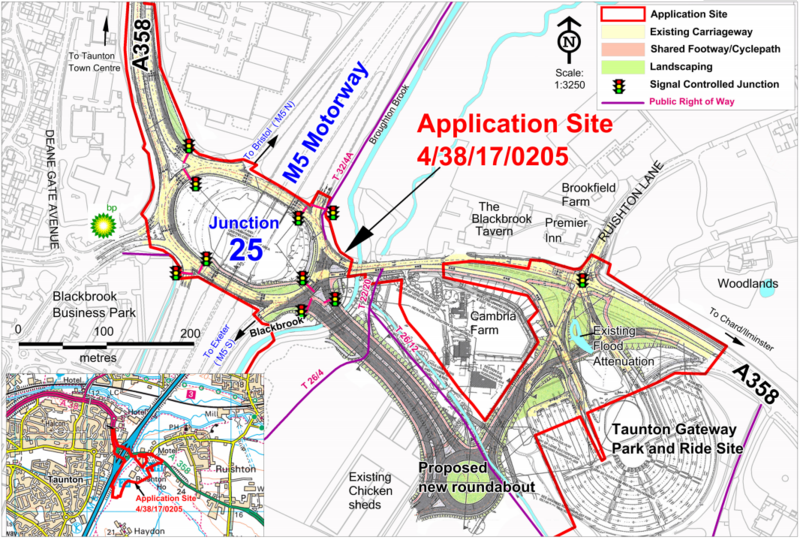 Multi-million pound plans to upgrade Junction 25 of the M5 have moved a step closer following today’s decision to grant planning permission. Junction 25 is the main access point to Taunton and also provides a critical link to the second strategic route into the South West – via the A358 and A303. Somerset County Council has been working with partners to develop a scheme to increase the capacity of this vital link to improve traffic flow, ease peak hour congestion and unlock land for employment. Members of the Council’s Regulation Committee met today to consider the application and voted by a majority to approve the plans. Cllr John Woodman, Somerset County Council’s Cabinet Member for Highways, said: “Today’s decision is a significant milestone and great news for the thousands of motorists who use Junction 25 every day. “It is also great news for Somerset’s business community, with these plans being integral to unlocking nearby land for development. The scheme involves full signalisation and enlarging of the roundabout, widening of the eastern exit, a new roundabout to access the proposed Nexus 25 employment site, and improved pedestrian and cycling facilities. 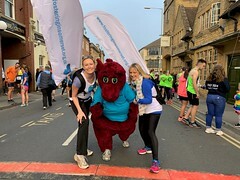 It is expected to cost around £18m with allocated funding of £12.9m from the Heart of the South West Local Enterprise Partnership (LEP) Growth Deal Fund, Taunton Deane Borough Council, Highways England, and developer contributions. Junction 25 currently experiences congestion in both peak hours, with queues frequently extending along the A358 in both directions and occasionally backed up onto the M5. The upgrade aims to improve journey times, reduce congestion, improve Park & Ride journey time reliability and create a more attractive access to Taunton, Yeovil and the A303 from the M5. The scheme will also unlock access into the proposed Nexus 25 employment site and support other planned growth across Taunton. “We are committed to provide the high quality, long-term jobs that our economy needs. Taunton is growing and it is essential we deliver a balanced economy of housing, jobs and leisure together with improved infrastructure to match. Chair of the Heart of the South West Local Enterprise Partnership, Steve Hindley CBE DL said: “I am very pleased to see this important junction improvement get underway which will help us improve connectivity to the Heart of the South West, a factor, that’s crucial to the area’s productivity and growth. These designs have been developed alongside Highways England and take into account HE’s ongoing proposals to upgrade the A358. The improvements will provide benefits if the road system stays the same or if it changes in future. You can see Somerset County Council’s response to the current A358 consultation at http://www.somerset.gov.uk/policies-and-plans/schemes-and-initiatives/a30-a303-a358-improvement-project/. The next step will be for the County Council to go out to tender over the summer. Construction is likely to take up to two years with work expected to start during winter 2018/19.